On Thursday afternoon official “tabulators” were busily counting ballots from the city of Verona when the votes came up more than 90 short of what the electronic readout from the voting machines said they should. That sent Verona officials on a hunt, and a rubber-banded stack of 97 ballots turned up in the office of Verona City Clerk Judy Masarik. “There’s a table in the clerk’s office, and there was a binder and some other papers on top of the ballots,” said City Administrator Bill Burns, who found the stack. The statewide recount, requested by challenger JoAnne Kloppenburg after her narrow loss to incumbent David Prosser, has the potential to change the outcome, so the Verona situation caused much consternation. On election night, all the ballots were supposed to be secured in sealed bags, which were then supposed to be signed by local elections officials. The seals were supposed to remain intact. Burns found the bundle unbagged. They were bagged and he drove them to Madison. The bag had no signatures or initials. On Friday, day three of the statewide recount of the Supreme Court race, the Kloppenburg recall effort called in their attorney, Michael Maistelman, to monitor the recount in Waukesha County. Earlier Friday a clerk discovered that one of the bags full of ballots from the Town of Delafield was not properly sealed. The Kloppenburg campaign said that means there was the possibility that people could have had access to the bag of ballots. On Thursday, a different bag containing hundreds of ballots wasn’t recorded on the poll inspector’s log. That bag was also from the Town of Delafield. The British government will spend 48.5 Billion Kwacha to help the Electoral Commission of Zambia (ECZ) deliver free and fair elections during this year’s polls. British High Commissioner to Zambia Tom Carter says part of the money will also go towards enhancing democracy in the country. Mr Carter says the assistance which will be done through the United Nations Development Programme (UNDP) will involve training of police officers to enable them handle elections in an effective manner. Full Article: UK to pump K48.5b into Electoral Commission of Zambia | LusakaTimes.com. Full Article: Thomas Bates: Why Photo ID Laws Are Not the Answer. Wisconsin Supreme Court candidate JoAnne Kloppenburg declared victory on election night when preliminary, unofficial returns put her 204 votes ahead of Justice David Prosser. Fifteen days later, she sought a statewide recount after the official county-by-county returns showed her trailing by more than 7,300 votes out of 1.5 million cast. Full Article: PolitiFact Wisconsin | JoAnne Kloppenburg says anomalies were widespread during the state Supreme Court race. Now The Tennessean reports that this session of the state legislature may repeal the never-implemented Tennessee Voter Confidence Act (April 25). It was the fine work of an earlier session to give us this law. It is a reliable system of voting that requires the use of paper ballots for a possible real check on the accuracy of the electronic vote if and when it becomes necessary. This is quite impossible with the system that Tennessee has been using, which relies totally on electronic voting machines without paper ballots. These machines have been shown in many different places to be subject to large errors or even deliberate manipulation. There is no way to verify an election with these delicate machines. Full Article: Tennessee needs reliable paper ballots | The Tennessean | tennessean.com. Westmoreland County Election Bureau officials are trying to avoid a repeat of the long lines of voters who waited to cast ballots in the last presidential election. So the county has purchased 21 additional touch-screen computer voting machines to ease the crush of voters in the largest precincts. “In the larger elections, such as a presidential race, I feel we need more machines in some of our larger precincts,” said bureau Director Jim Montini. Full Article: Westmoreland buys more voting machines - Pittsburgh Tribune-Review. Minnesota voters would be required to show photo identification at the polls under a Republican bill the Senate passed Thursday on a party-line vote. But the photo ID bill — the subject of fierce partisan debates for the past five years — is unlikely to become law. Democratic Gov. Mark Dayton last week said he, like Republican Gov. Tim Pawlenty and Independence Party Gov. Jesse Ventura before him, would not sign any election-reform bill that doesn’t have bipartisan support. Democrats don’t support the photo ID legislation. Full Article: Voter photo ID bill unlikely to become law | St. Cloud TIMES | sctimes.com. Hoping to boost what they view as flagging confidence in the state’s election system, Senate Republicans approved a bill on Thursday that would require Minnesotans to present photo ID at the polls. The measure passed on a 37-26 party-line vote after two hours of debate. It would impose new identification requirements, eliminate vouching for most Election Day registrants and create new provisional ballots for voters whose eligibility is challenged. Full Article: Senate Republicans advance elections ID bill | StarTribune.com. A Marion County judge on Thursday denied Secretary of State Charlie White’s request to halt a challenge by Democrats to his eligibility to hold office. The state Democratic Party claims White, who faces seven felony charges, including three of voter fraud, isn’t eligible for office because he wasn’t legally registered to vote when he declared his candidacy. White, a Republican, had asked the court to delay the challenge until the Hamilton County criminal case is resolved. But Marion Circuit Judge Louis Rosenberg said Thursday there’s no guarantee that White’s criminal trial will be held Aug. 8 as scheduled, so the civil challenge could be drawn out indefinitely if it hinged on the resolution of the criminal case. Full Article: Judge won't halt Dems' challenge to White | The Indianapolis Star | indystar.com. Today’s Republicans would never try to reinvent something so crude as the outlawed “poll tax,” which mostly Southern states used, along with literacy tests, well into the 20th century to block voting by blacks, poor whites and Native Americans. Removal of these barriers firmly established every citizen’s right under the U.S. Constitution’s equal protection clause and the beginning of widespread elections of minorities. But wait. The modern GOP has come up with a new artifice: voter IDs to prevent citizens’ showing up at the polls to commit fraud, even though voter fraud has never been a significant U.S. problem. The most widespread fraud has been by election officials’ rigging ballots and voting machines and denying voters a chance to exercise their rights by moving polling places unannounced or closing them early. Full Article: Idaho Mountain Express: GOP legislatures legalize voting barriers to Democrats - April 29, 2011. A very positive piece of news in the past few days was that negotiators from the three political formations had generally agreed on an election roadmap, with very few “sticking” points still to be resolved. Parliament has a significant role to play in the process of coming up with a democratic people-driven constitution and amending the Electoral Act and the Zimbabwe Electoral Commission Act. 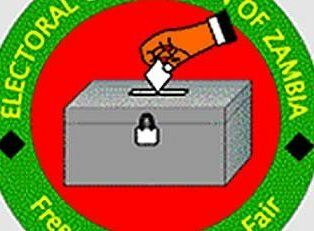 As the electoral management body, the Zimbabwe Electoral Commission (Zec) is one of the critical players in any election process and upon which the credibility of an election depends. It is a successor to the Electoral Supervisory Commission, which was largely seen as an extension of the Executive in the administration of electoral matters. Full Article: Parly’s role in electoral law reform - Newsday: Everyday News for Everyday People. If you’re expecting to see images reminiscent of Florida 2000, you’re out of luck. The first day of the Wisconsin Supreme Count election recount began and ended quietly in Milwaukee County with no protesters, a few citizen observers and about 50 Kloppenburg and Prosser operatives. 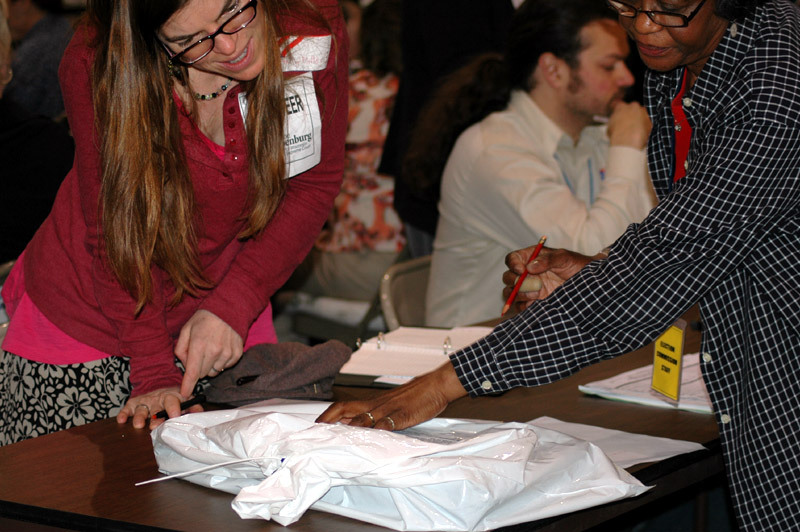 No hanging chads – just election canvassers sorting through the paper scan sheets each voter filled out on April 5, putting them into piles designated for Justice David Prosser or Assistant Attorney General JoAnne Kloppenburg. An occasional question as to the marking of an arrow on the ballot brought over county election commission officials, who listened to polite challenges from the observers. Only one magnifying glass was noticed on a table next to a Kloppenburg worker. Full Article: And the recount begins | ThirdCoast Digest. Governor Jan Brewer has a lot on her plate this week, more than 100 bills to get through over the next few days. One of those bills is SB 1331 and it could prohibit Tucson from having mail ballot elections. Just this month the Tucson City Council decided all voters would get mail-in ballots for the next two elections in August and November of 2011. Full Article: Awaiting Governor's decision, Tucson's mail-in elections hang in the balance | KVOA.com | Tucson, Arizona. Zimbabwe does not have the $400 million needed to organise elections this year, Finance minister Tendai Biti has said. Mr Biti said the coalition government also faces a $150 million deficit this year because it had missed all revenue targets with almost half the year gone. The government has set a revenue target of $2.7 billion this year, but the economy has performed poorly due to the unstable political environment. President Robert Mugabe says he wants an early election because he has failed to work with his rivals in a coalition government formed in 2009 following his disputed re-election a year earlier. Full Article: Daily Nation: - Africa |Zimbabwe too broke to organise elections this year. “We were just trying to minimize the time early voting polls were open … so the expense is not so great for local election boards,” Sen. Jim Davis, a Macon County Republican who sponsored the bill, said Monday. “Everybody who wants to vote still can vote.” It’s unclear how much support the bill has, even among Republicans. The bill is still in a Senate committee and has a long way to go before it could become law. Full Article: GOP proposal would cut a week from early voting | CharlotteObserver.com & The Charlotte Observer Newspaper. Two bills that would close loopholes and increase transparency in Nevada’s election and campaign finance laws won approval in the Assembly today with no time to spare. Secretary of State Ross Miller is seeking the bills restricting the use of multiple political action committees to bypass campaign contribution limits and requiring electronic filing of campaign contribution and expense reports by most candidates. Today was the deadline for the bills to win Assembly approval or see no further consideration in the 2011 legislative session. They will now be considered by the Senate. Full Article: Nevada News Bureau » Blog Archive » Campaign Finance And Election Reform Bills Win Approval In Assembly By Deadline. Charlie White is asking a Marion County judge to temporarily stop Democrats’ challenge to his eligibility to serve as secretary of state. If his request is granted, Democrats’ plan to oust White through a civil complaint could be derailed. They claim he wasn’t legally registered to vote at the time he declared his candidacy and wasn’t eligible to run. In a motion filed today, White says the civil challenge should be stopped until a criminal case pending in Hamilton County is resolved. White faces seven felony charges, including three counts of voter fraud. Since both cases involve the legality of his voter registration, allowing the civil case to proceed could jeopardize White’s right to not incriminate himself, according to the motion. Full Article: White wants judge to stop civil challenge to his eligibility | The Indianapolis Star | indystar.com. Georgia’s election law should be changed to allow more third-party candidates, voting machines with paper records and vetting of presidential hopefuls, according to 19 witnesses at Wednesday’s initial meeting of the Georgia Election Advisory Council. Secretary of State Brian Kemp, whose office oversees elections, conceived the council and appointed it 15 members of legislators, academics and elections officials. When he first announced it, he said its goal would be to find ideas to save money and improve efficiency. The witnesses said they were looking for more substantive changes. “A lot of these things are going to depend on the will of the legislature,” Kemp said. Full Article: Georgia election changes suggested | The Augusta Chronicle.